With Fourth of July just around the corner, New Jersey residents are gearing up to celebrate the holiday. 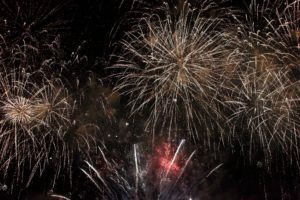 Many people associate the Fourth of July with fireworks displays ranging from simple sparklers to the elaborate shows that Macy’s puts on each year. It is important not only to stay safe if you are attending a fireworks display but to also be aware that consumer fireworks are illegal. If you are injured while attending a fireworks display, you may have a personal injury case. An experienced attorney can help you find evidence that there was negligence that caused you to become injured. Fireworks accidents can result in serious burns that cause lasting impacts on your life. If negligence is proved, you may be able to collect damages for medical bills, lost wages, and pain and suffering. In addition, it is important that you are aware of the criminal penalties that are associated with breaking state fireworks laws. There are only three states in the United States that have banned the purchase, sale, possess, and use of consumer fireworks, New Jersey included. If law enforcement finds that you have used or purchased fireworks, you may be subject to a fine of up to $500 and the potential for up to 30 days in jail. Those who have been charged with selling fireworks in New Jersey, you may face fines of up to $7,500 and up to 1.5 years in jail. Contact an attorney who has experience in both personal injury and criminal defense who can provide you with assistance if you have issues with fireworks in New Jersey.